After we got into Texas we began seeing a lot of corn, alfalfa and cotton. Kathi and I both love the crops. We saw farms growing other types of crops, but neither of us could identify them. It was really great seeing all the farming in Texas. We left I-40 in Amarillo and took I-27 into Lubbock. We left Lubbock on US 84 headed for Sweetwater. We saw pumping oil wells in oil fields for several miles south of Lubbock. Oil wells are few and far between in most parts of the country, but thankfully Texas has a lot of them. The rolling plains were like a children’s roller coaster as we negotiated the country roads moving south on US 84. 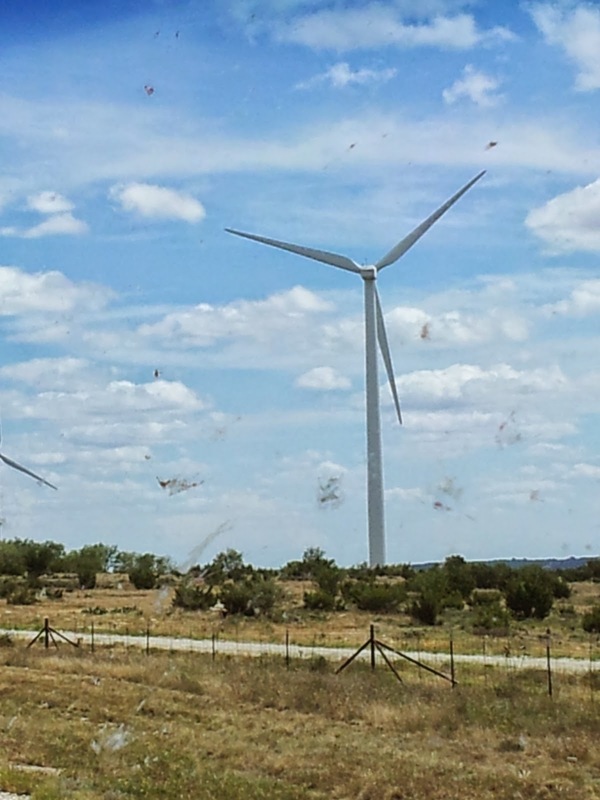 We began seeing a lot of windmills as we approached Sweetwater. 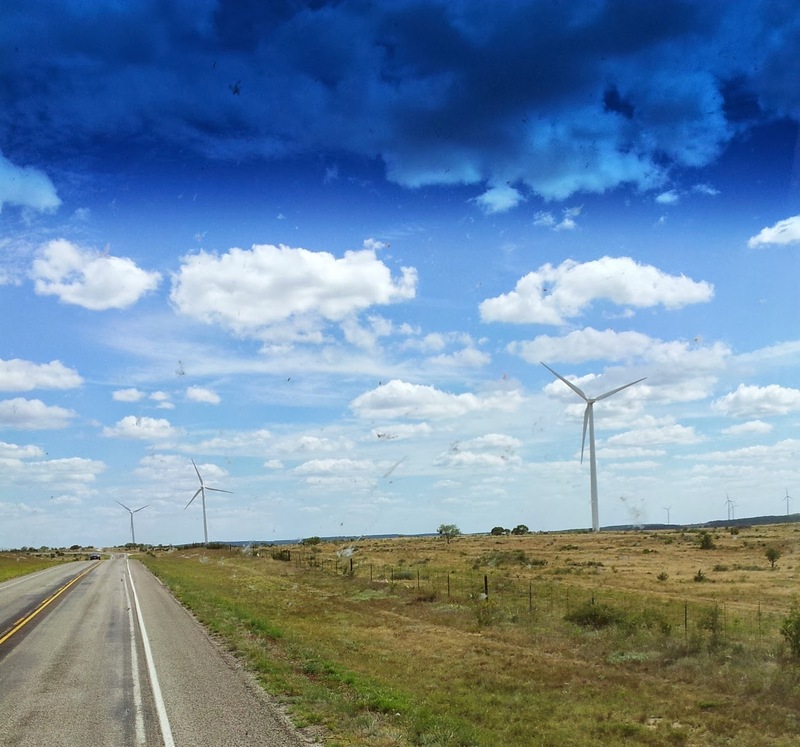 Most people do not know that Texas harnesses more wind than any other state, accounting for about 8% of electricity in Texas. 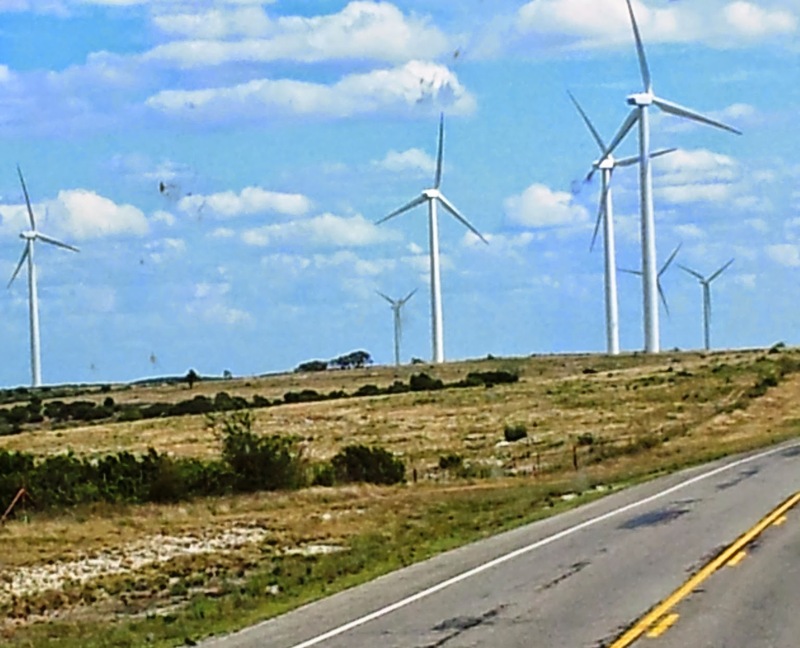 As we turned left on I-20 and south on US 153, we saw more wind farms along the route. More corn and more cotton all the way to Coleman, leaving the rolling plains behind and moving into the rolling hills. 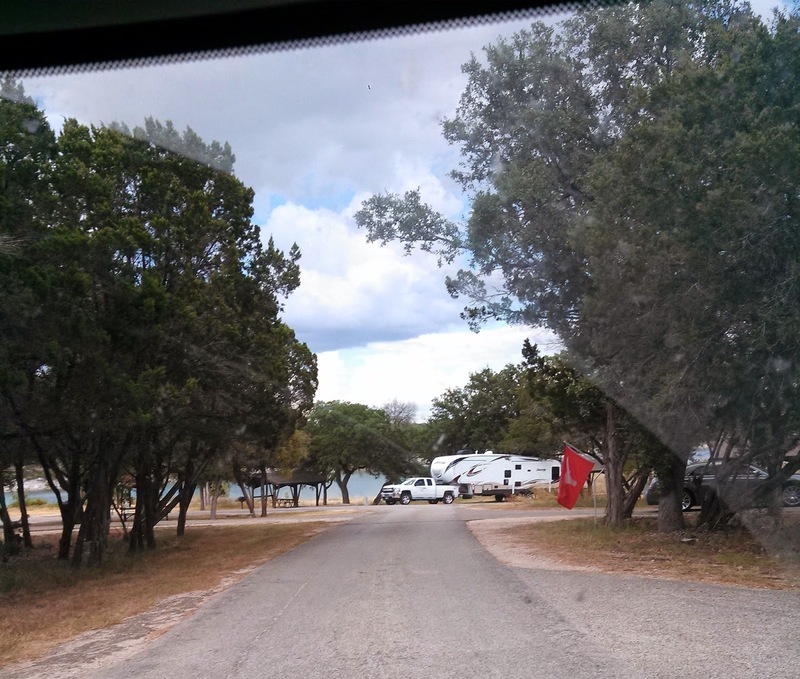 We moved on through Brownwood and Lampasas. At Goldthwaite we left US 84 for US 183 which took us into the Georgetown area. I have not mentioned the wind, but on the trip from Casa Blanca to Lake Georgetown we felt wind coming primarily from the west, sometimes pushing and often trying to shove me into the wrong lane. 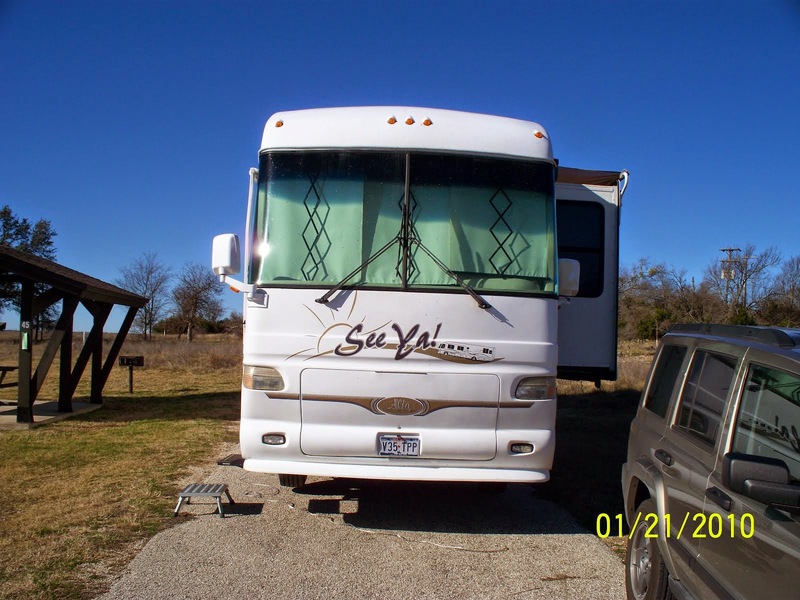 My shoulders got tired, but I love hearing the wind whistling through the cracks, mostly through dash vents, but also around the windows and doors of the motorhome. We got into Cedar Breaks Park about 7:30, again, just before the closed at 8:00 pm. Two long tiring days in a row, but we were glad to be where we plan to stay for a few weeks and rest. Because of all the great crops we got to see,there are bugs on our windshield. The wind farms are still nice to see. 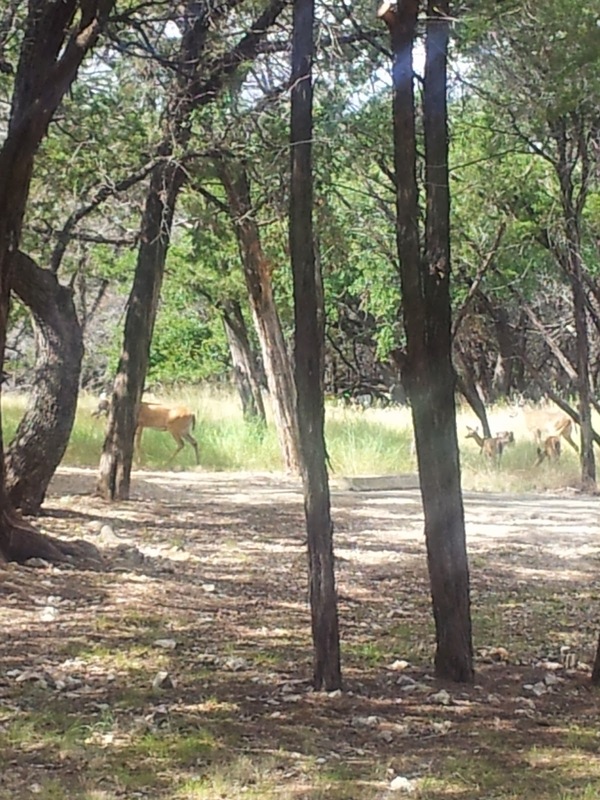 Look to the right in the tall grass to see two fawns and their mother. View of Lake Georgetown on the loop around Cedar Breaks RV camping area. More windmills north of Sweetwater. As far as I could see to the left of this group was more windmills.